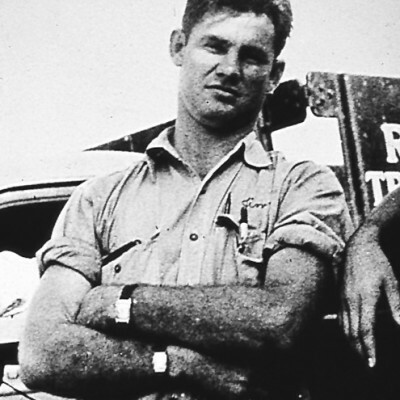 With nothing more than a vision and a $35 down payment on a Model A Ford truck, Jim Ryder started a business hauling concrete in 1933. Five years later, a beverage distributor in Miami leased five trucks from him, and Ryder’s full-service leasing business took off. Since then, our company has grown into something we’re extremely proud of: a Fortune 500 industry-leader with annual revenues of more than $6 billion. It’s been quite a journey, and we’re excited about the future, but we’ll always stay true to our humble, entrepreneurial origins. Jim wears two wristwatches to remind customers of his commitment to on-time deliveries. A second truck, a 1934 Ford V-8, doubles the size of the fleet. The fleet expands to 15 trucks. Ryder signs a five-truck lease deal with Champagne Velvet Beer, increasing Ryder’s fleet to 20 trucks. By the following year, the fleet grows to more than 50 trucks. 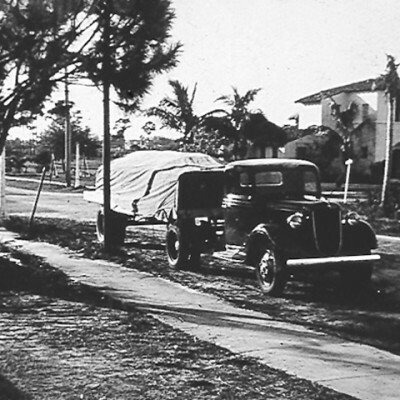 During World War II, Ryder hauls supplies for the U.S. government. Revenue tops $100,000 for the year. Ryder provides a dedicated fleet and drivers for daily distribution of The Miami Herald, Ryder’s longest-standing customer. Ryder’s fleet grows to nearly 500 vehicles. 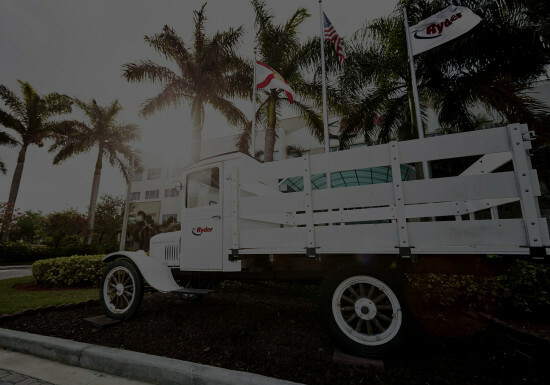 To keep fleets moving beyond Florida, Ryder creates on-site shops at customer locations and opens a network of service locations that pioneer the practice of preventive maintenance. Ryder acquires its much larger customer, Great Southern Trucking Company, and rebrands its entire fleet with the “Big R” for national reach. Ryder becomes one of the first transportation companies to join the computer age with the purchase of a 29,000-pound, water-cooled UNIVAC computer to expedite accounting and data processing. Ryder loads trailers of cargo onto railroad flatcars for the first “piggyback” operation in the southeastern U.S.
Ryder System, Inc. incorporates as a public company and issues 160,000 shares of common stock at $10 per share. Ryder expands truck leasing and rental operations into Canada. Ryder is recognized as a leader in the transportation industry by BusinessWeek. Ryder is listed on the New York Stock Exchange. Ryder Preventive Maintenance customers are supported by a new written and hands-on Mechanic Certification Program. Ryder launches its “one-way” consumer truck rental business to target self-move customers. Beverly Nannenga becomes Ryder’s first woman driver. 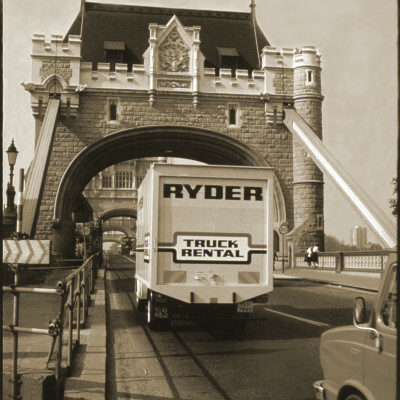 Ryder expands operations to the United Kingdom. 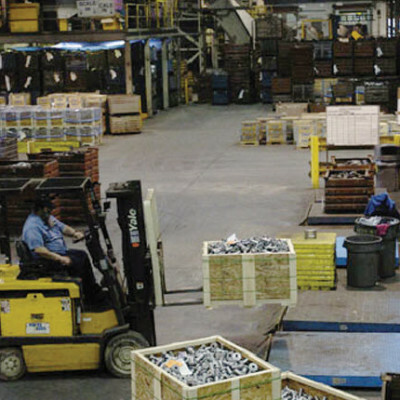 An innovative approach to maintenance secures Ryder's position as an industry leader. More than 13,000 “one-way” rental trucks keep America moving. Motor Carrier Act passes, recasting the structure of the U.S. transportation industry. Tony Burns is named President and Chief Executive Officer, and adds the role of Chairman when Les Barnes retires two years later. 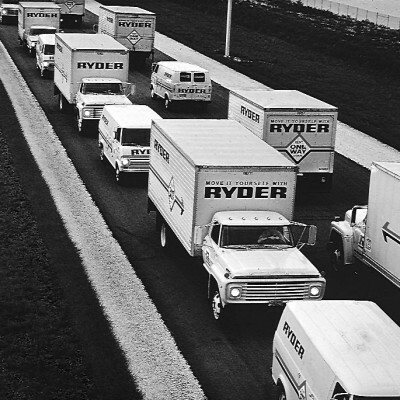 Ryder celebrates 50 years in business. Truck leasing expands to Germany. Ryder names full-time executive to lead its environmental program. Ryder Distribution Services (RDS) implements North America’s first large-scale Just-In-Time supply delivery system supporting a new state-of-the-art auto plant in Kentucky. RDS ends the decade topping $250 million in annual revenue. Full Service Lease (FSL) revenue rises to more than $1.5 billion. Ryder establishes a distinct International Operations business unit. Ryder links its network of hundreds of maintenance facilities with computers and automated diagnostic tools. Ryder de Mexico launches with a ceremony at the summer home of Mexico’s president. Operations in Argentina and Brazil open the following year. Ryder is first named to FORTUNE® magazine’s listing of the 500 largest public companies in the U.S.
Ryder sells familiar yellow “one-way” consumer rental business, and re-brands its fleet with a new logo and colors to focus on commercial customers. A survey in FORTUNE® magazine names Ryder the most admired company in the trucking industry. Chairman and CEO, Tony Burns, hires former Burlington Northern Santa Fe executive, Greg Swienton, to serve as President and Chief Operating Officer. Operations are reorganized and Greg Swienton’s role expands to President and Chief Executive Officer. Ryder opens web-enabled transportation management center in Dallas/Fort Worth, Texas to manage customers’ freight shipments through a network of more than 1,500 providers of ground, air, rail and ocean freight shipping. Ryder launches its Asia-Pacific headquarters, following the acquisition of Singapore-based Ascent Logistics. Company launches online tracking tools, and web sites including RyderFleetProducts.com and UsedTrucks.Ryder.com. Ryder is the first transportation industry to receive the National Safety Council’s highest honor, the Green Cross for Safety medal. Tony Burns retires from the Board and Greg Swienton is named Chairman. Ryder acquires U.S.-based General Truck Leasing and RUAN Leasing Company, and expands international operations into Chile. 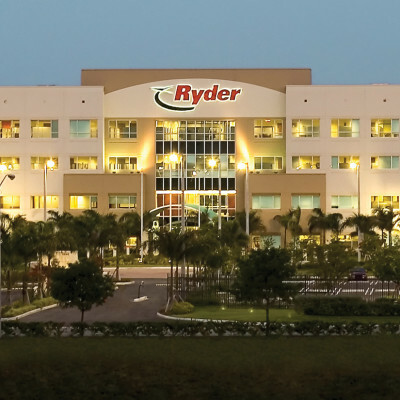 Ryder opens smaller, more efficient global headquarters in Miami. Ryder celebrates 35 Years in the U.K.
Ryder marks its golden anniversary in Canada with the acquisition of Ontario-based Pollock Nationa Lease. 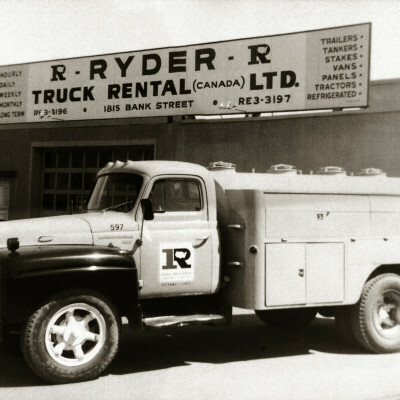 Ryder celebrates its 75th anniversary. The company publishes its first Corporate Responsibility Report, highlighting Ryder’s progress in environmental innovation, governance, safety and security, and charitable giving. Ryder announces its national charitable partnership with a $1 million donation to the American Red Cross. 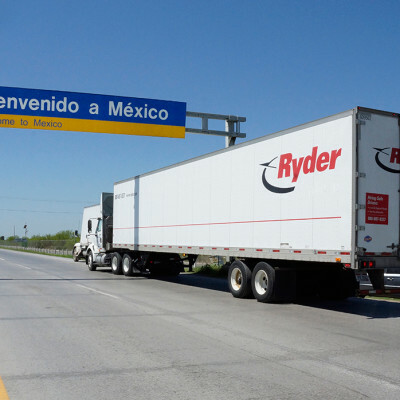 Ryder becomes certified as a Third Party Logistics Provider (3PL) in the Customs-Trade Partnership Against Terrorism (C-TPAT) for logistics operations in the U.S., Canada, and Mexico. 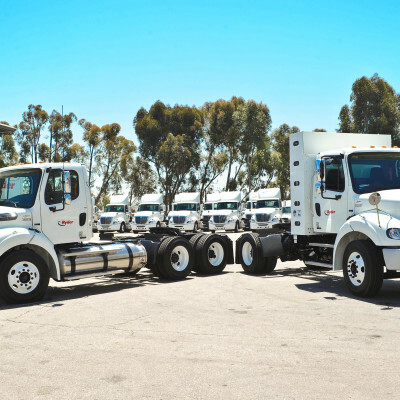 Ryder selected as fleet partner in groundbreaking heavy-duty natural gas truck project in Southern California - the first time natural gas vehicles will be deployed into a large commercial truck rental and leasing operation. Ryder opens its first natural gas vehicle maintenance facility in Rancho Dominguez, Calif. and begins taking delivery of heavy-duty natural gas vehicles. Ryder acquires three truck fleet management businesses in California (Carmenita Leasing, Inc., The Scully Companies, Inc., and B.I.T. Leasing Inc.), increasing the company’s presence in the western U.S.
Ryder joins the U.S. Chamber of Commerce Hiring Our Heroes program and becomes a member of the Veteran Employment Advisory Council. Company launches RydeSmart® 3.0, the next generation of its innovative onboard telematics system to provide greater usability and vehicle intelligence to fleet management end users. Chairman and CEO Gregory T. Swienton retires and Robert E. Sanchez, Ryder’s Chair of the Board and President is named Chief Executive Officer. Ryder unveils its first advertising campaign in nearly 20 years, using a new tagline “Ever better” to highlight its expansive array of services for business. The Company introduces the industry’s first ever female-friendly vehicle package for lease, including 15 unique specifications to better meet the needs of female drivers.